Getting started is easier than you think, and here is one thing we know from experience: thinking about getting started on your estate plan is much harder than actually doing it once you take the first step. Below you will find an outline of the five simple steps in our process to get you from worrying about the future to knowing your plan is in place and your loved ones are protected. Don't worry if you don't have all the answers before you reach out to us- our job is to help guide you through the choices you have and sort out what is important in making your plan. Just review the five simple steps below, then give us a call to get started! ​We can do this in person if you would like to meet our team, or if it is more convenient for you we can have the first conversation by phone or video conference. This first consultation does not have to take long- most often it involves just 30 minutes of your time. At the consultation, we will find out what your concerns and questions are, what assets are likely to be in your estate, and what your goals are. Before your consultation, we recommend that you make a list of what you own and, if you are married, what your spouse owns. This can be very informal, and you do not need to gather up bank and brokerage statements, or know your balances to the penny. We just need a general idea of what your assets are (including life insurance policies) so we know whether the your estate planning documents need to including planning to avoid or minimize estate tax (note: it is easier than you probably think to reach the Massachusetts estate tax threshold of $1 million). We would also like to know enough about your situation to help us identify any issues you may not have considered, like if you or your spouse is not a US citizen, if you have a child with special needs, if you have children that are not also your spouse's children or vice versa. 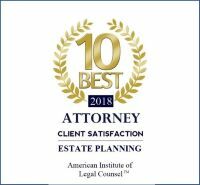 We can handle all of those situations in your estate plan; it is just helpful to know about them early on so that we can work that into the documents. Try not to think about the consultation as a test, or a conversation in which you have to have made all of the hard decisions and thought through all the angles. Think about it instead as dumping your information- and your worries- on us. Our job is to take what you give us, match it with what we know about estate law, give you your options, then do the work for you once you have decided what you want. At your consultation, we will discuss the various options for your estate planning documents. For most families, a comprehensive estate plan will include a combination of wills and trusts as well as a durable power of attorney and health care proxy, but if you choose to have only some of those documents, you can do that as well. After your consultation, a member of our team will get back to you with our recommendations for your comprehensive estate plan. We can fill in the details later before we finalize your documents, like who you want to name as a guardian for your children (if you have minor children), who you would like to name as Personal Representative (this used to be called Executor), and specifically how you would like your assets distributed. At this stage we will just be talking to you about the structures you can choose from to put your plan together. There will be an opportunity at this point for us to walk you through these choices and any questions you have about them. Our estate planning lawyers will take your information, prepare the documents you have chosen, and provide a draft of your wills and trusts for you to review. This is the point where there may be gaps to fill in (names of your choices for personal representative or guardian, specific bequests you may not have decided about yet, etc.). But the heavy lifting should be done for you by now. Once you get your documents and look them over, you will have another opportunity to speak with the lawyer if you have any questions or concerns, or any changes you want to make to the documents. We will make a final appointment for you to come in to sign the documents. We will provide the notary and witnesses and walk you through the signing process to make sure all of the technical requirements are met for your documents to be legal and valid. All you have to do is show up, and you will walk out of that appointment with your comprehensive estate plan complete and in your hands. If it is difficult for you to get to our offices for any reason, we can make arrangements to come to you with the documents and a notary public- the only thing you would have to do is have two adults who are not named in your will available to witness the signatures (this can really be anyone- your neighbors, a family member who is not named in your will, a staff member at an assisted living facility or a nurse- anyone who is an adult, legally competent, and not a beneficiary of your estate plan). Place your original signed wills and trusts in a safe place, and make sure the person you have named as Personal Representative knows where they are. Some people use a safe deposit box in a bank- that is certainly a secure choice, but others worry about their family members being able to get immediate access to it. Another option is a fireproof home safe, with the key or combination and a note about where to find your estate planning documents somewhere a family member would be likely to look. If you have spoken with the person you name as personal representative, you can also send him or her a copy of the instructions about how to find your documents and any information they will need to access them. We will keep a hard copy and an electronic copy, but your representative will need your original will. Also, if your family can't find your estate planning documents, they may not know that you have left a will in the first place. That's it- you're done- congratulations! Once you have your plan in place, you can rest easy knowing you have set everything up for your family. If anything changes in your life after that, or if there are changes you want to make for any reason, we are happy to help, and in many cases can make a change through a simple codicil to your will rather than starting all over. Things you may consider when speaking with your own parents as they age about their estate plan. "It was a pleasure working with Emily Smith-Lee... She willingly shares her expertise and always listens to her clients' concerns. Emily's caring demeanor puts people at ease immediately. The outcome of my experience was quite favorable. I would highly recommend them." Camille B. "The staff was very professional and courteous. The explanation I received was clear and concise and I was able to make my decision on my situation easier. Thank you". Scott C.
has a great 360 degree view of various situations and offers different options to solve a problem. I would, definitely, recommend her to any one of my personal friends or professional associates." Stacey C.
We are ready to help. Your initial consultation is absolutely free, and we will take you from there to your final executed documents and peace of mind. You can use the button above to schedule your consultation, or simply give us a call at 781-784-2322, or fill out our web form.